Explored in the late 1500s it was finally settled in 1690. James Bonner started the town on his own farm in the 1770s. After serving in the Continental Army, Bonner returned home and in 1776 renamed his town, originally called ''Forks of the Tar,'' for his commanding general, Washington. The town boasts that it is the ''original Washington.'' It was a major shipping port playing an important role in supplying the colonists when the British held Savannah, Charles Town and Wilmington under siege. Prized for its good waters it became a major commercial and cultural center for nearly a century. Washington fell under Federal troop rule early during the War Between the States. When threatened, the union forces blew up their naval supplies, causing a fire that swept through the town destroying most of the early historic buildings. The war left the town devastated. Washington was rebuilt but suffered another fire in September 1900. Many of the present Victorian homes and shops now prized in the downtown area exhibit the determination of the citizens to once again rebuild. The downtown waterfront once a neglected warehouse and wharf area has had a facelift that continues today. 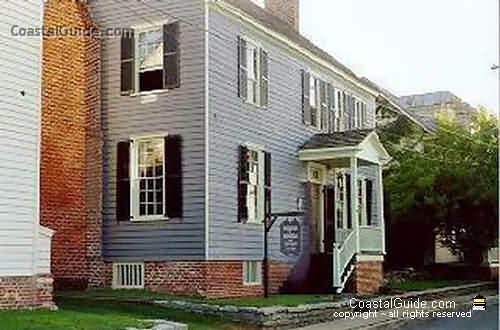 Over thirty homes are listed in the ''Historic Washington Walking Tour'' guide. You can enjoy viewing churches, vintage homes of the late 1900s and churches. Of the local communities, Washington is second in age only to nearby Bath, and is perhaps the first city erected in America after the collapse of the British government in North Carolina. There appears to have been life on the banks of the Pamlico River at least one hundred years prior, when a Welsh missionary named Morgan Jones wrote of an encounter with a group of Indians described to have fair complexions and red hair. Speculation has it that these were descendants of a band of Welsh led by a prince, Madoc (or Madog) ab Owain Gwynedd, in 1170. Incorporated in 1782, (after a first attempt in 1771 never gained approval), Washington had long since been a thriving center of commerce, established "for the speedy decision of mercantile transactions with foreign and transient persons." One of the first buildings build in the city was Mulberry Tavern, and for more than half a century it provided food and drink for the seaman whose ships docked nearby, and lodging for plantation owners and others in town on business. As mentioned earlier, Union forces occupied Washington in 1862, and it, along with Plymouth in Washington County, suffered more Civil War destruction than any other North Carolina town. 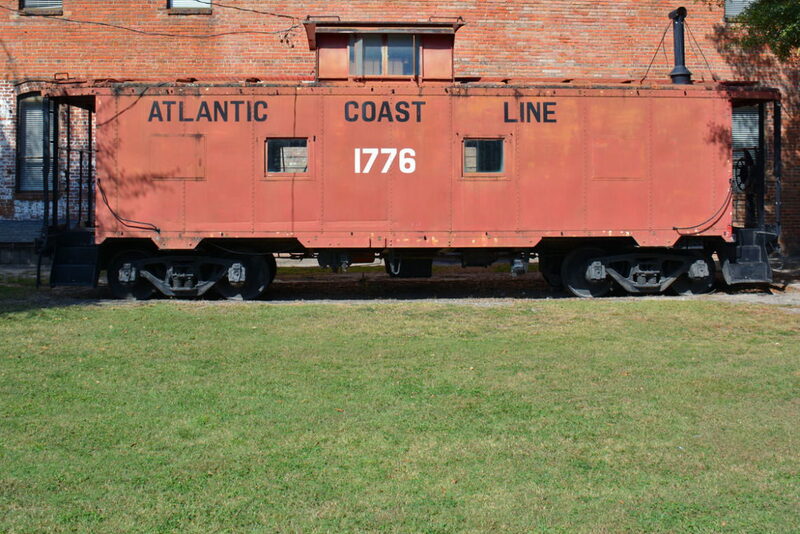 The scars of the Civil War are still visible in Washington NC. Crossing the Pamlico River on Highway 17 look off to the west and you will see the remains of the Union Army's ship, Picket, jutting from the Tar River where it blew up on September 6th, 1862. 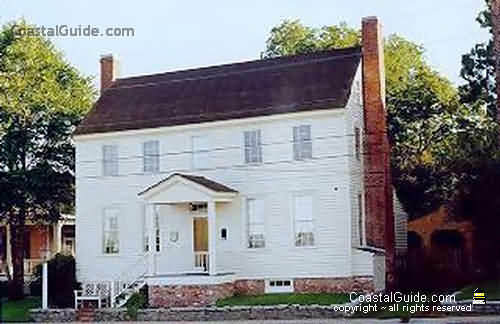 Driving down Main St. you will view houses with dates of construction in the 1850's 60's and 70s', testimony to the fact that the town was burnt by Union troops during their evacuation after the fall of Plymouth, NC. Even more startling are the two houses on Water Street which were built in 1780 and 1795. They stood through the fires and barrages of the war, having cannon balls imbedded in their walls, a bequest of the shelling of the town by the Rebel troops located on the southern shore of the Pamlico River. If you want to learn more of the little known, but violent history of Washington, NC during the War Between the States, drop in to the Beaufort Hyde Martin Library at Market and 2nd Streets, where you can read the first hand stories of people who lived through the whole ordeal. War came to Washington in March of 1862 when federal troops, escorted by the gunboat Picket, arrived at Washington. According to Charles Warren "Two companies and a band marched from the wharf to the courthouse playing national aires." The Confederate force of infantry and cavalry troops slipped into the town on the morning of September 6, 1862 surprising the Federal troops and capturing their artillery. Federal cavalry, on their way to Plymouth, were alerted to the attack by the sound of gunfire. Charging up Main St. they clashed with Confederate cavalry at Market Street. A furious battle ensued with both sides advancing and retreating. Meanwhile mysteriously the Federal ship, the Picket, blew up killing the captain and nineteen crewmen. In the spring of 1863, Confederate troops needing food and supplies for Lee's armies in Virginia, placed Washington under siege and several skirmishes resulted. The Confederate Armies were able to resupply the troops in Virginia without any serious intervention from the Federal troops in Washington. April 30, 1864 "The fire was set at Haven's Wharf...to destroy naval stores, cotton etc. to prevent falling into the hands of the Confederates." An eye witness account by Charles F. McIntire, Company G, 44th Massachusetts Infantry. "The fire rapidly spread north across Main Street, down Van Norden Street, consuming everything to Fifth- the last street in town...it burned the length of Gladden and Respess streets...every home on Bridge went down. " "Furiously the fire raged from Bridge Street down Second sweeping everything in its path to Respess St... Chimneys were all that was left of homes where only defenseless, though brave, women and children had lived." Other fires were lit by soldiers in Union uniforms at non-military facilities according to reports by locals after the war. The suggestion that some fires were deliberately started by some federal forces was taken from a pamphlet produced by the BUSINESS WOMEN'S Circle of the 1st Methodist Church of Washington, NC dated September 1932, written by H.I.Glass Leader, entitled Historical Sketch which reportedly describes an eyewitness report of arson at the church. Need to get in touch with us?We'd love to hear from you!